Evidently some of the auxiliary bishops (and one ordinary) have too much time on their hands at the autumn plenary of the German bishops… Time enough to take a bishops selfie. They may be excused however, as the selfie was taken during the standard photo opp on Tuesday, where all the bishops pose for an updated group photo of the conference (shared at the bottom of this post). From left to right: Dominik Schwaderlapp, auxiliary bishop of Cologne; Matthias König, auxiliary bishop of Paderborn; Reinhard Pappenberger, auxiliary bishop of Regensburg; Herwig Gössl, auxiliary bishop of Bamberg; Franz-Josef Overbeck, bishop of Essen; Heinz-Günter Bongartz, auxiliary bishop of Hildesheim; and Andreas Kutschke, diocesan administrator of Dresden-Meißen. At the plenary, which continues until Thursday, the bishops have mainly discussed the refugee crisis in Germany and the role that the Church can play in providing shelter and assistance. It is estimated that dioceses, parishes and Catholic aid organisations have already made close to 100 million euros available for this goal, of which 66.5 million will be spent for projects in Germany itself, while the remained will go to aid projects in countries of origin. The average expenditure in past years was 73 million euros. The bishops have elected Hamburg’s Archbishop Stefan Heße as special envoy for refugee questions beyond the competence and responsibility of individual dioceses. The archbishop’s first focus will be on providing shelter. For that purpose, more than 800 buildings that are property of the Church have already been made available, but that number does not include private initiatives or those of religious communities. Other topics to be discussed at the plenary are the upcoming Holy Year of Mercy and the Synod of Bishops, now only a few weeks away. Preparations are virtually done by now, so nothing new is expected to come from this plenary. The conference today released a document focussed on renewing the pastoral care offered in the dioceses. 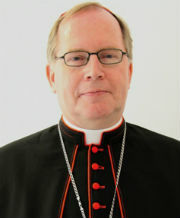 As Bishop Bode, chairman of the pastoral commission, explained, the new document, titled Gemeinsam Kirche sein – Wort der deutschen Bischöfe zur Erneuerung der Pastoral (Being Church together – Words from the German bishops for the renewal of pastoral care) is based on a new reading of the Council documents Gaudium et spes and Lumen gentium, with new developments in society in mind. The document, which also focusses on the common priesthood of the faithful, as well as the ordained priesthood, which both represent the one priesthood of Jesus Christ, and the various charisms present in the Church, can be downloaded for free or purchased here. Opening today’s session with the celebration of Mass, Cologne’s Cardinal Rainer Woelki gave the homily, in which he spoke about the two major elements in Christ’s public ministry: proclamation and healing, aspects that we are also called to make visible in our Christian life, despite any hesitation or fear we may feel. The cardinal also explained that the Church in Germany is materially better off than ever before. She does much, employs many people and is a pillar in society. But that’s not what the Church is: she is a community of faithful. 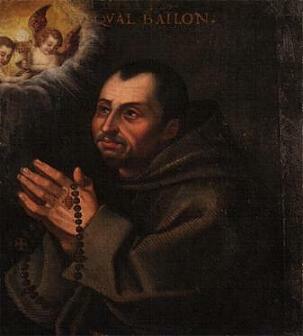 “And exactly that, the shared content of faith, has largely dissipated into thin air. The fact that only one third of Germans believes in the resurrection of Christ should already worry the Churches somewhat, considering the fact that two thirds of the population are Christian, at least on paper. But it is even worse. Even among the faithful the core content of the Christian message is rejected en masse. 60 percent does not believe in eternal life. In contrast, one German in four believes that encountering a black cat brings bad luck. Between Flensburg and Oberammergau more people believe in UFO’s than in the final judgement. Welcome to the German diaspora. This diaspora, dear sisters and brothers, is no longer far away – in Hildesheim or the east of the republic; this diaspora is our pastoral reality everywhere. We live in this time. But how do want to work in this time? Today’s Gospel reminds us that we are also sent – just like the young man then – “to proclaim the kingdom of God, and to heal the sick” (Luke 9:2). The aim is to make the Church visible as a witness of God’s mercy. The plan seems to be the brainchild of Bishop Norbert Trelle, host of the meeting and vice-president of the bishops’ conference. The Diocese of Hildesheim celebrates the 1200th anniversary of its foundation this year and its 11th century cathedral has just come out of an extensive renovation. These are the seven bishops speaking at various pubs: Bishop Stephan Ackermann of Trier will speak about peace and justice; Bishop Franz-Josef Bode (Osnabrück) about the communication of faith; Bishop Friedhelm Hofmann (Würzburg) about art and religion; Bishop Heiner Koch (Dresden-Meißen) about marriage and family; Bishop Franz-Josef Overbeck (Essen) about business ethics; Cardinal Rainer Maria Woelki (Cologne) about poverty; and Bishop Norbert Trelle (Hildesheim) about immigration and human rights. An example worth following by bishops in other countries. Double duty for the German bishops today, as they have two consecrations of new bishops today to choose from. 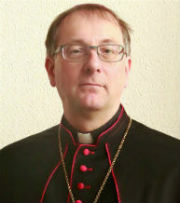 In Essen, the diocese of the Ruhr, Bishop Franz-Josef Overbeck will consecrate Bishop Wilhelm Zimmermann as auxiliary bishop of that diocese. Essen’s other auxiliary, Bishop Ludger Schepers, and retired auxiliary Bishop Franz Vorrath will be co-consecrators. Also present will be Hong Kong’s bishop, John Cardinal Tong Hon. The Archdiocese of Freiburg im Breisgau will see the consecration of its new archbishop, Msgr. 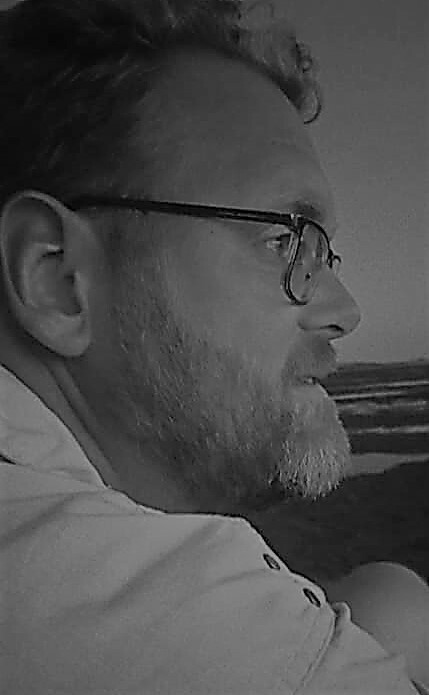 Stephan Burger. Promising to start using Twitter after his consecration, the new archbishop, Germany’s youngest at 52, has been received generally very positive, although his perceived orthodoxy has ruffled the usual feathers. Consecrating him is his predecessor, Archbishop Robert Zollitsch, with the ordinaries of the Province of Freiburg’s other two dioceses, Karl Cardinal Lehmann of Mainz and Bishop Gebhard Fürst of Rottenburg-Stuttgart, as co-consecrators. The consecration is embedded in Freiburg’s “Diözesantag”, which began esterday with a concert and choral evensong, and continues today with midday prayers, a live program in the square before the cathedral, with music and interviews. After the Mass in which the new archbishop will be consecrated, the festivities close with a “feast of encounter”. The cathedral itself has remained closed due to the preparations for the live television broadcast, and will open only in the early afternoon, about 90 minutes before the Mass starts at 14:30. As today is the feast of Saints Peter and Paul, the traditional date new metropolitan archbishops come to Rome to receive their pallia to signify their shepherd’s duty, Archbishop Burger will receive his today from the hands of the Apostolic Nuncio, Archbishop Nikola Eterovic. This is an unusual action, but does mean that Archbishop Burger doesn’t have to wait a full twelve months to receive his pallium.